Horseracing Authority, is looking into the shady activities of a racehorse trainer. But as he's tailing his quarry through the Cheltenham Racing Festival, the last thing he expects to witness is a gruesome murder. Could it have something to do with the reason the trainer was banned in the first place - the administration of illegal drugs to his horses? Days later, it's discovered that many more horses test positive for prohibited stimulants, a scandal that could throw horse-racing into disrepute. It's no surprise when the BHA receives a demand - pay up or face the consequences. 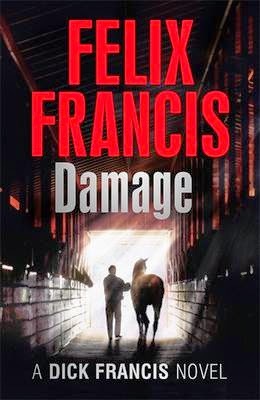 In order to limit the damage to the sport, it's critical that Jeff find the perpetrator ...but he'll soon learn he's up against someone who will stop at nothing to prevail... Damage is by Felix Francis and is due to be published in September 2014. Death or Glory IV is by Michael Asher and is due to be published in November 2014. Italy, 1943 – SAS Captain, Tom Caine, is being held captive by Nazis forces. Whilst imprisoned he befriends another member of the SAS – one who has heard a rumour. The operative knows the location of an ancient codex. A codex he claims will lead them to the location of the original texts of Tacitus’s Germania. Caine is deployed by the Nazis to find the codex and retrieve the texts on a mission that will most certainly bring about his death, and refusal is not an option. Caine has little choice but to begin his most deadly campaign yet. The Eye of Heaven is the outstanding new Fargo Adventure from Clive Cussler and is due to be published in September 2014. Baffin Island: Husband-and-wife team Sam and Remi Fargo are on a climate-control expedition in the Arctic, when to their astonishment they discover a Viking ship in the ice, perfectly preserved - and filled with pre-Columbian artifacts from Mexico. How can that be? As they plunge into their research, tantalizing clues about a link between the Vikings and the legendary Toltec feathered serpent god Quetzalcoatl - and a fabled object known as the Eye of Heaven - begin to emerge. But so do many dangerous people. Soon the Fargos find themselves on the run through jungles, temples, and secret tombs, caught between treasure hunters, crime cartels, and those with a far more personal motivation for stopping them. At the end of the road will be the solution to a thousand-year-old mystery - or death. 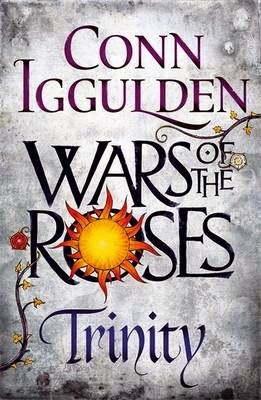 The brilliant retelling of the Wars of the Roses continues with Trinity, the second gripping novel in the new series from historical fiction master, Conn Iggulden. 1454: King Henry VI has remained all but exiled in Windsor Castle, struck down by his illness for over a year, his eyes vacant, his mind a blank. His fiercely loyal wife and Queen, Margaret of Anjou, safeguards her husband's interests, hoping that her son Edward will one day know the love of his father. Richard Duke of York, Protector of the Realm, extends his influence throughout the kingdom with each month that Henry slumbers. The Earls of Salisbury and Warwick make up a formidable trinity with Richard, and together they seek to break the support of those who would raise their colours in the name of Henry and his Queen. But when the King unexpectedly recovers his senses and returns to London to reclaim his throne, the balance of power is once again thrown into turmoil. The clash of the Houses of Lancaster and York will surely mean a war to tear England apart. Trinity is due to be published in September 2014. Havana Storm is by Clive Cussler and is due to be published in November 2014. While investigating a toxic outbreak in the Caribbean Sea that may ultimately threaten the United States, Pitt unwittingly becomes involved in something even more dangerous—a post-Castro power struggle for the control of Cuba. Meanwhile, Pitt’s children, marine engineer Dirk and oceanographer Summer, are on an investigation of their own, chasing an Aztec stone that may reveal the whereabouts of a vast historical Aztec treasure. The problem is, that stone was believed to have been destroyed on the battleship Maine in Havana Harbour in 1898, which brings them both to Cuba as well—and squarely into harm’s way. The three of them have been in desperate situations before . . . but perhaps never quite as dire as the one facing them now. Dead Men's Bones is the fourth novel in James Oswald's phenomenal Inspector Mclean series set in Edinburgh. A family lies slaughtered in an isolated house in North East Fife ...Morag Weatherly and her two young daughters have been shot by husband Andrew, an influential politician, before he turned the gun on himself. But what would cause a rich, successful man to snap so suddenly? For Inspector Tony McLean, this apparently simple but high profile case leads him into a world of power and privilege. And the deeper he digs, the more he realises he's being manipulated by shadowy factions. Under pressure to wrap up the case, McLean instead seeks to uncover layers of truth - putting the lives of everyone he cares about at risk. Dead Men’s Bones is by James Oswald and is due to be published in July 2014. DI Helen Grace returns in Pop Goes the Weasel, the new thriller from M. J. Arlidge. The body of a middle-aged man is discovered in Southampton's red light district - horrifically mutilated, with his heart removed. Hours later - and barely cold - the heart arrives with his wife and children by courier. A pattern emerges when another male victim is found dead and eviscerated, his heart delivered soon afterwards. The media call it Jack the Ripper in reverse; revenge against the men who lead sordid double lives visiting prostitutes. 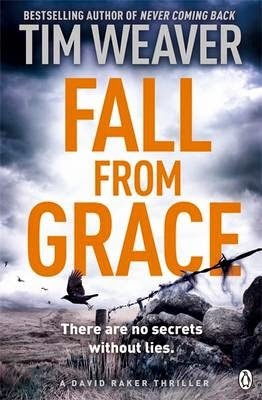 For Grace, only one thing is certain: there's a vicious serial killer at large who must be halted at all costs... Pop Goes the Weasel is due to be published in September 2014.
good...Elizabeth Hampton has not spoken to her family in weeks when she gets the phone call. Her mother has been found dead under suspicious circumstances. But who would want to kill a kind old woman who stayed at home to care for her son Ronnie's special needs? And just why did her mother recently change her Will? The police tell Elizabeth that this is not only a murder investigation - but that her brother Ronnie is the prime suspect. 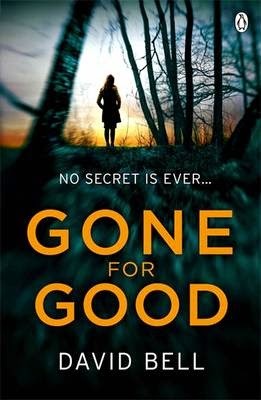 Desperate to prove her brother's innocence, Elizabeth begins to unravel family secrets and dark double lives - leading to the dangerous truth behind her own identity... Gone for Good is due to be published in August 2014. The Devil's Workshop is the third historical thriller in Alex Grecian's Scotland Yard Murder Squad series. April, 1890. London wakes to the shocking news of a mass prison escape. Walter Day and the Scotland Yard Murder Squad now face a desperate race against time: if they don't re-capture the four convicted murderers before night settles, they'll vanish into the dark alleys of the London's criminal underworld for ever. And in the midst of this mayhem and fear, the city's worst nightmare is realised: Jack the Ripper haunts the streets of London once more... The Devil’s Workshop is due to be published in July 2014. Phantom Instinct is the new thriller from the acclaimed Edgar Award-winning writer, M. G. Gardiner and is due to be published in October 2014. Harper Flynn nearly died when gunmen attacked the L.A. club where she worked. A year later, Harper tries to rebuild her life - but is failing. Because not only is she convinced there was a third gunman who escaped, but she also believes that he is targeting the survivors. The only person who will listen is Sherriff Deputy Aiden Garrison, who tried to save her life that night. But Harper's only ally has a secret of his own - one that makes him suspicious and highly volatile..